Discover the origin of the GracePort® panel interface connector made by Phil Allen over 20 years ago. In 1993, while working on a friction welder retrofit project at John Deere, Ed Allen was presented with a hazardous electrical safety issue. The machine I/O was located in the front while the electrical panel with a 250 horsepower drive and a 400 amp main feed was inconveniently located at the rear of the machine. Ed collaborated with his brother, Phil Allen, on the first solution. Over the next several years, Phil would go on to create the model that builds any combination, known as the GracePort today. Back at John Deere, the only way to access the machine for maintenance was to open the doors, but the maintenance supervisor understood this caused a potential hazard. The supervisor insisted that they keep those doors closed to avoid an electrical shock or arc flash hazard. Ed and Phil were therefore challenged to find a work-around to resolve this issue by putting a PLC programming communication port on the operator console where all the I/O were located. 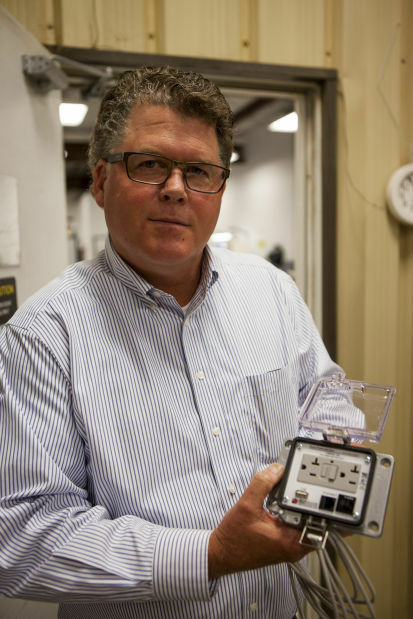 The engineers at Grace accepted the challenge and responded with a panel interface connector that contained a printed circuit board and cable solution. With this, the team at Grace created a solution for thru-door access that is still as relevant today as it was over twenty years ago. 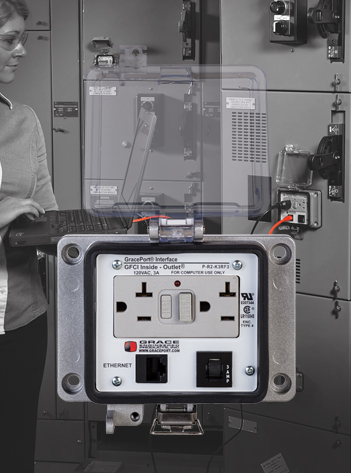 They housed the programming port in a UL Type 4 rated, rectangular connector enclosure and presented it to the customer. Phil named the achievement GracePort. The supervisor at John Deere, as well as the local distributor, were far and away impressed with the innovative solution. They immediately recognized the value of this panel interface connector and it became obvious that Grace should offer this solution to all their customers. It was the first product developed in house, birthed from the mind of Phil and executed by his team at Grace. With the advent of the GracePort, Grace began to hit its stride as a pioneer in the electrical safety industry. In the past 20+ years since its inception, we've created over 15,000 unique GracePorts for our customers. Each week presents a new challenge and a new GracePort. “Having started this company over twenty years ago, I still feel that same passion today that drove me forward in those early years - building a lasting company that rests on a firm foundation of excellence, innovation and creativity. The same teamwork, trust, and integrity that brought us this far is the catalyst for helping us participate in building a better and safer workplace for tomorrow. Today’s ideas are the seeds that will sprout into the next great workplace safety innovation.” - Phil Allen, Founder and CEO of Grace Engineered Products, Inc. Check out our Top 10 Configurations just to see how far we'll go to meet any and all your needs.